The generic name Euphorbia is classically supposed to have been named for Euphorbus, a physician to the king of Mauretania in the first century A.D. (C.E.). 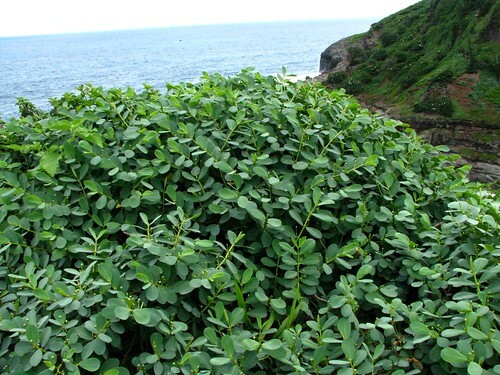 The specific epithet celastroides means "resembling Celastrus," a genus of shrubs and vines commonly known as staff vines, staff trees or bittersweet. The varietal name, stokesii, was named for John Francis Gray Stokes (1876-1960), American photographer, genealogist, archaeologist and a plant collector in the Hawaiian Islands and Polynesia.